Requirements of concrete mix design should be known before calculations for concrete mix. Mix design is done in the laboratory and samples from each mix designed is tested for confirmation of result. But before the mix design process is started, the information about available materials, strength of concrete required, workability, site conditions etc. are required to be known. 1. 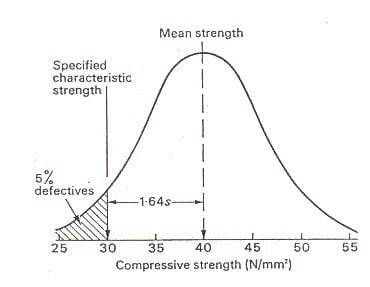 Characteristic strength of concrete required: Characteristic strength is the strength of concrete below which not more than 5% of test results of samples are expected to fall. This can also be called as the grade of concrete required for mix design. For example, for M30 grade concrete, the required concrete compressive strength is 30 N/mm2 and characteristic strength is also the same. 2. Workability requirement of concrete: The workability of concrete is commonly measured by slump test. The slump value or workability requirement of concrete is based on the type of concrete construction. For example, reinforced concrete construction with high percentage of steel reinforcement, it will be difficult to compact the concrete with vibrators or other equipment. In this case, the workability of concrete should be such that the concrete flows to each and every part of the member. For concrete member, where it is easy to compact the concrete, low workability concrete can also be used. It is also known that with increase in workability of concrete, the strength of concrete reduces. Thus, based on type of structure or structural member, the workability requirement of concrete should be assumed and considered in the mix design. For pumped concrete, it is essential to have high workability to transfer concrete to greater heights with ease. This case also should be considered in the mix design. 3. Quality control at site: The strength and durability of concrete depends on the degree of quality control during construction operation at site. Nominal mixes of concrete assumes the worst quality control at site based on past experiences. Thus, for design mix concrete, it is essential to understand the quality control capability of contractor and workmen at construction site in mixing, transporting, placing, compacting and curing of concrete. Each step in concrete construction process affects the strength and durability of concrete. The availability of workmen also affects quality control of concrete. The more skilled workmen and supervision helps to maintain good quality construction. 4. Weather conditions: Weather impacts the setting time of concrete. In hot climate, the concrete tends to set early due to loss in moisture, and in this case, the concrete need to have higher water cement ratio or special admixtures to delay initial setting of concrete. Recommendations for concrete cooling agents also required to be mentioned in the mix design for very hot weather conditions. In cold climates, the initial setting time of concrete increases as the moisture loss rate is very low. Due to this, water cement ratio is considered appropriately. Admixtures should also be recommended to prevent freezing of concrete in case of very cold climate. 5. Exposure conditions of concrete: Exposure conditions play an important role in the mix design of concrete. The exposure conditions such as chemical actions, coastal areas etc. needs to be considered for the given site. Generally exposure conditions as per code of practices are mild, moderate, severe, very severe and extreme exposure conditions for concrete constructions. The grade of concrete and durability requirements of concrete changes with exposure conditions. For extreme exposure conditions some standard codes mention minimum strength of concrete as M35. 6. Batching and mixing methods: There are two types of batching method, i.e. volumetric batching and batching by weight. These two conditions should be known for concrete mix design calculations. 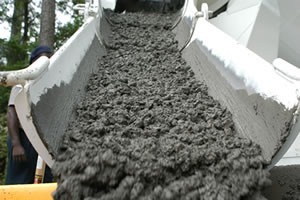 Mixing methods include manual mixing, machine mixing, ready mix concrete etc. The quality control of concrete varies with each type of mixing method. 7. Quality of materials: Each construction material should have been tested in laboratory before it is considered for mix design calculations. The type of material, their moisture content, suitability for construction, and their chemical and physical properties affects the mix design of concrete. 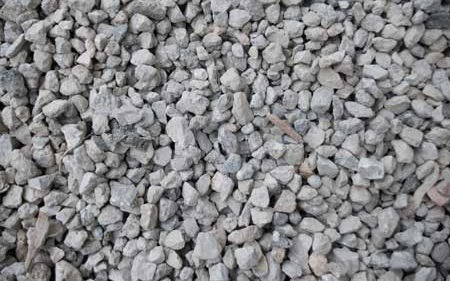 Type of cement to be used for construction, coarse and fine aggregates sources, their size and shape should be considered.